The latest creation from the Russian Labs: Lab Created Paraiba Tourmaline. What is Lab Created Paraiba Tourmaline or Synthetic Paraiba Tourmaline? 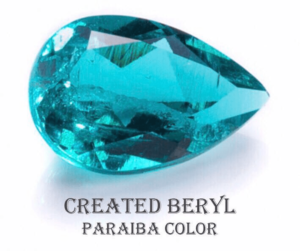 Lab Created Paraiba Tourmaline (or Created Beryl Paraiba Color) is a Gemstone like many in the world today, that is synthetically grown through seed crystals of Natural Paraiba Tourmaline. This is done in a lab and takes time and effort to do. 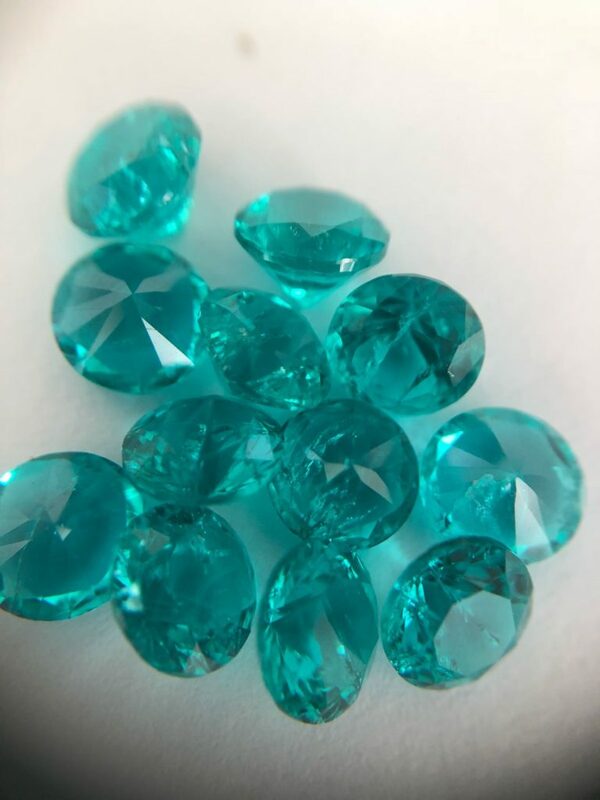 The result is a beautiful colored gemstone which looks virtually as beautiful as the Natural Paraiba Tourmaline and especially when inclusions are within the Lab Created Paraiba Tourmaline Gems. The producers of this lab created Paraiba Tourmaline are our Russian business partners, and we source our Created Paraiba Tourmaline Rough from local Russian sources and some from manufacturers in Moscow. 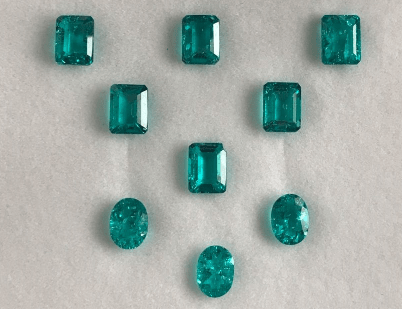 Why Lab Created Paraiba Tourmaline? It is environmentally friendly and ethical to do this in a lab, rather than the mines which maybe are managed improperly and can be unhealthy for the miners and for Mother Earth. 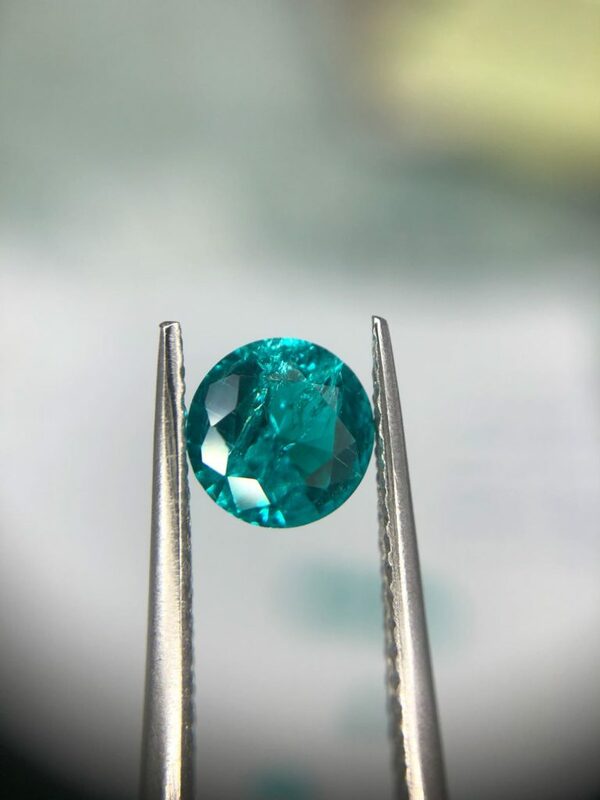 Once more, with the Lab Created Paraiba Tourmaline having Inclusions in the finished product, they look very natural as you see in the photos above and below from our stock. Natural Paraiba Tourmaline is very expensive but the Lab Created Paraiba Tourmaline results in a good price point and can be mass produced. Other stones that are Lab Created and also available are the Created Ruby, Created Sapphire, Created Emerald (Zambian and Columbian) and Created Alexandrite. 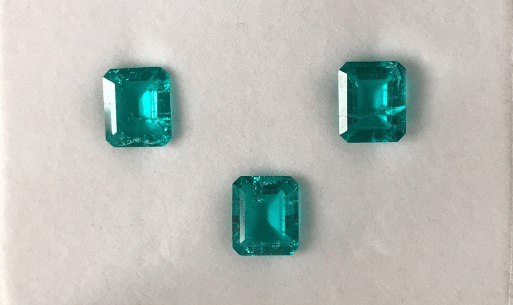 The mass production of the Synthetic Paraiba Tourmaline started in 2016 and as of now, all shapes and sizes of the Paraiba Tourmaline are available. 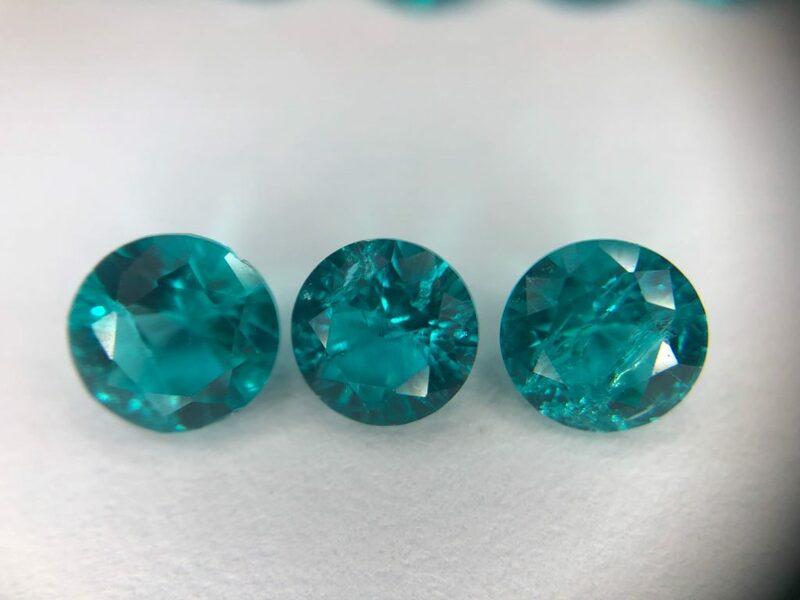 With mass production, the price has been kept lower and price points for our wholesale Lab Created Paraiba Tourmaline Gemstones are around $20 per carat up to $55 per carat, with minimum orders of $1000. Tourmaline, as it needs high quality cutting, polishing and firing, especially to get the Lab Created Neon Tourmaline color out. A Cushion Paraiba Tourmaline cut is a favorite with a Simulated Paraiba Tourmaline. So why let Navneet Gems be your source for Wholesale Lab Created Paraiba? With Navneet Gems and Minerals, you will never have a problem with consistency in quality and quantity. We assure you of this because of our good understanding of rough materials which we have used since 2003 for created stones. We are on very good terms with the Russian source that we buy the rough from and even do a 2-way business with them by both buying the Russian Lab Created Tourmaline Rough from them and also selling other Natural Semi Precious Gemstones to them. Other reasons to buy from us is our factory on the outskirts of Chantaburi, Thailand for cutting and here in our office in Bangkok for cuts, or for the finishing touches and inspection of the Synthetic Paraiba Tourmaline Gems, and with quality control in all locations. For other choices in Wholesale Tourmalines and other Wholesale Gemstones we supply click here. Contact us today to ask or order your Paraiba Tourmaline Created in the Lab and with Inclusions if you like, by clicking the link above in the Menu bar and email us from there or fill out the form with your questions on ordering.